Who says that it's just a matter of changing people but not changing the system has to observe this fact that systems do matter! I have written something about how Bam Aquino going Bum Aquino some time ago. Now it's time to focus on how one-time Wharton graduate (where he majored in economics) and became an investment banker in New York City ended up as a laughingstock today. 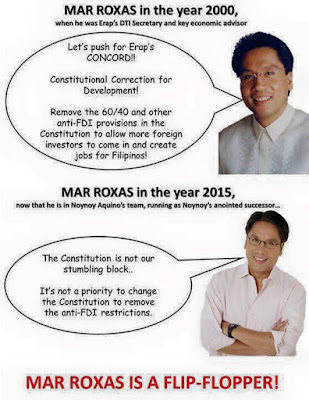 Doesn't Mar Roxas' past sound promising? 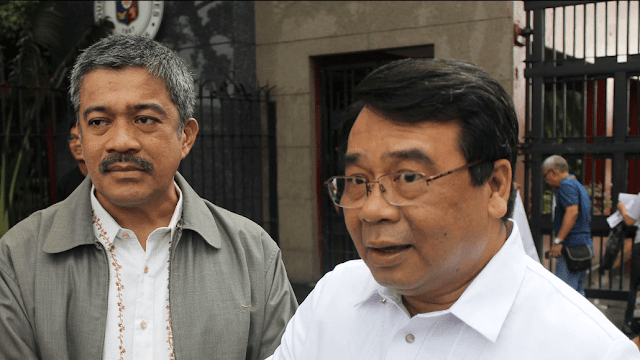 Unfortunately, Mar ended up going from what you'd call a promising guy who once sat as the Department of Trade and Industry secretary under Joseph Estrada to becoming a national laughingstock. How did the presidential system turn a once promising man into an idiot? Well, surviving in a presidential system requires one thing -- trade in your credibility for popularity. Under Estrada, he once agreed to remove the 60/40 and other unreasonable foreign investment restrictions. 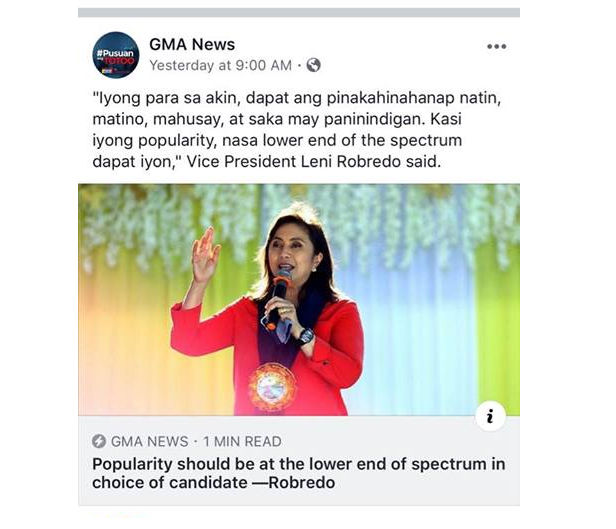 However, when he became Noynoy Aquino's choice for a vice president and as successor -- he ended up saying that economic liberalization wasn't the top priority. So seriously, what happened to him? 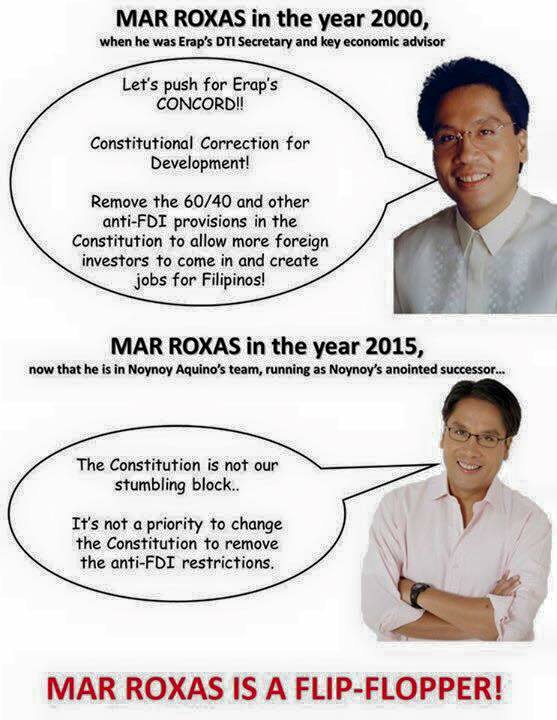 It could be seen this way that Mar's survival instinct got the best of his once brilliant mind. So all the years he sent in Wharton School of the University of Pennsylvania to get his economics degree ended up in the trash bin. Just imagine how much he could have helped the Philippines with his high educational attainment and experience as an investment banker. His supporters now can't use his past achievements to defend his present blunder and incompetence. Just because he was once competent doesn't mean that it would make up for his present poor performance. 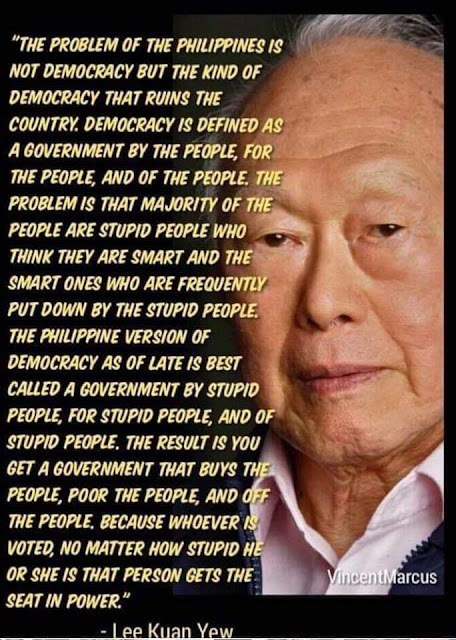 Worse, you have to realize that there are times when the most stupid people are also the most educated people. It's all about popularity in one way or another when you're in a presidential system. 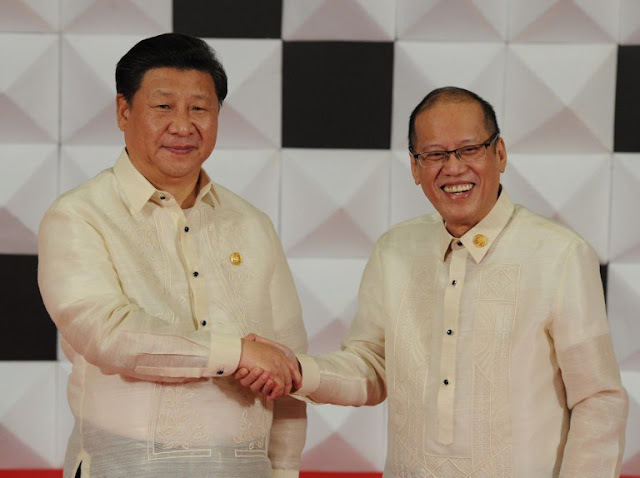 I guess he decided to join forces with his best friend Noynoy because of the latter's popularity. By doing so, he ended up giving up his brain for a mediocre mindset which is highly prevalent in the Philippines. One reason why balimbings or turncoats happen way too often is because joining the most popular party is what gets you a vote. He may have ended up thinking that joining the Liberal Party and overriding Noynoy's popularity would help him. Unfortunately, he ended up throwing away his brilliant mind out of the window as a result of the presidential system.